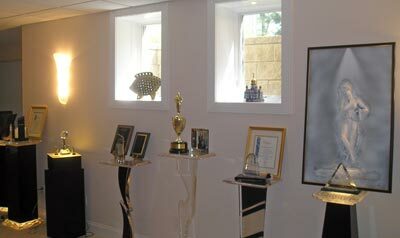 "2007 World Class Customer Service Award Finalist"
"2005 Leading Lady Award" Beachwood Chamber of Commerce. "2005 Outstanding Technical and Marketing Consulting" Mitsubishi Materials Corporation, Japan. "2005 Tsunami Relief Efforts" Cleveland State University India Experience Series. 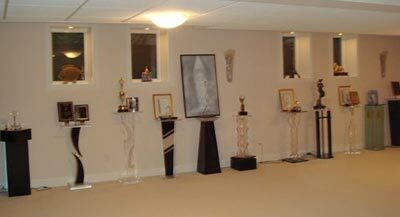 "2005 Chairing FICA/Tsunami Relief Efforts" The Federation of India Community Associations of Greater Cleveland. "2005 Drum Major Honoree" Richland Correctional Institution, RiCI and NAACP. "2004 Pillar Award for Community Service" Smart Business and Medical Mutual. 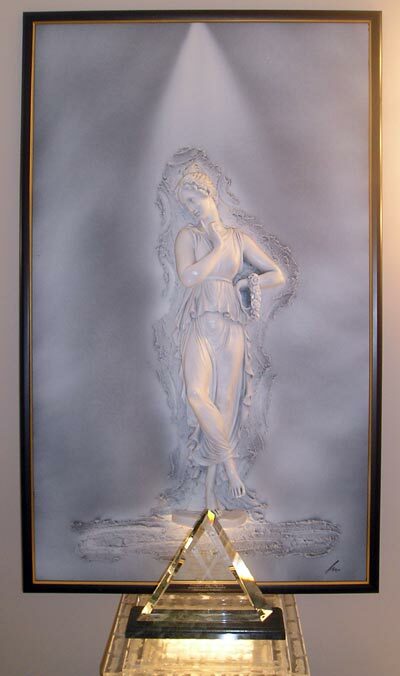 "2004 Northeast Ohio ATHENA® Award" Cleveland recipient, Inside Business Magazine. 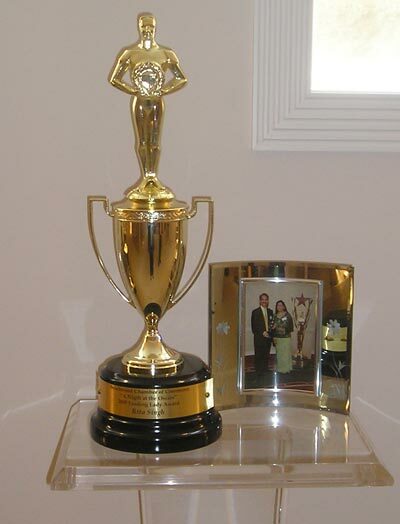 "2004 Distinguished Marketing and Sales Award" Sales and Marketing Executives of Cleveland. 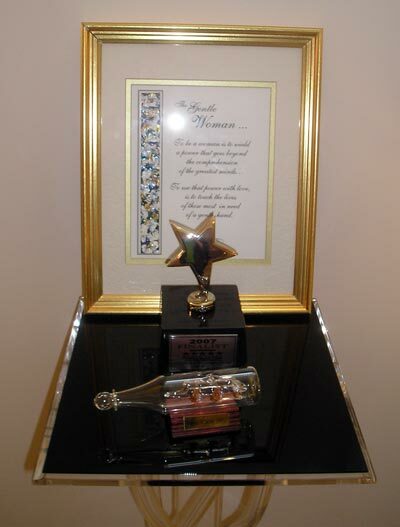 "2004 Stevie™ Finalist for Women Entrepreneurs" Best Overall Company of the Year - Service Businesses. Advanta. "2003 Business Woman of the Year Award" Business Advisory Council of National Republican Congressional Committee. "2003 First Place Winner in the Minority Business Enterprise Category" COSE Business Plan Challenge Competition. 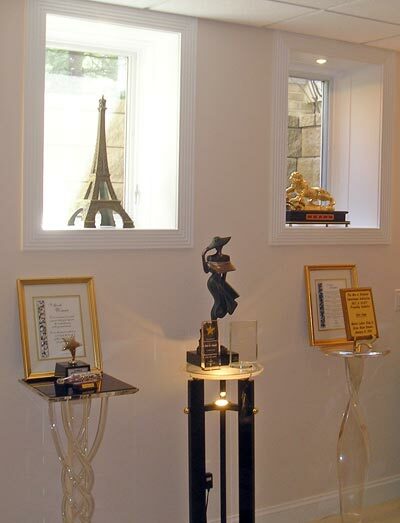 "2003 Finalist," for Northeast Ohio's first ATHENA® Award, Inside Business Magazine. "2003 Honorable Mention" for Innovation in Business Smart Business. "2003 National Leadership Award" Business Advisory Council. "2002 State of Ohio and District Winner as Accountant Advocate of the Year" U.S. Small Business Administration. 2002 - Honored as one of the "500 Most Influential Women in Northeast Ohio" Northern Ohio Live. "1999 Model of Success Award Black Pages of Cleveland. "1999 Executive Director's Recognition Award" Northeast Ohio Minority Business Council. 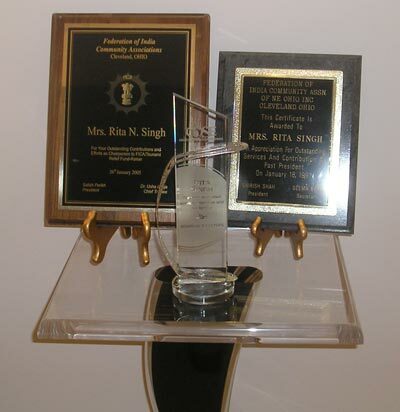 "1998 Woman of the Year Award" The Association of Asian Indian Woman in Ohio. Listen to a brief message from Rita Singh offering advice to women.